Anna Smallwood was first introduced to yoga in 1998 as part of her intensive training as Professional Contemporary Dancer. She completed a Bachelor of Dance at the Victorian College of The Arts and always maintained her yoga practice while working as a dancer. Anna immediately fell in love with Ashtanga and Vinyasa Flow practices, as they promote freedom through movement, yet unlike dance are driven by the breath. both teach at Brahmani Yoga and to deepen her own yoga practice. with others and witnessing the transformation it brings to her students. 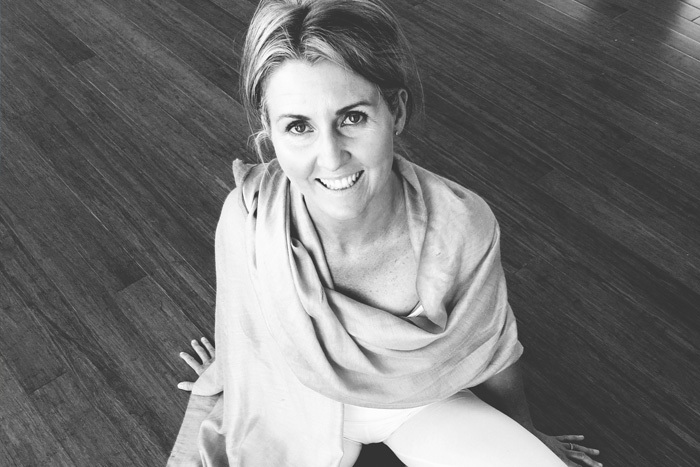 Anna is a registered teacher with Yoga Alliance (ERYT 500) and holds a Level 2 teacher certification with Yoga Australia. Her favourite pose is the cosmic egg. Ali feels honoured to share this beautiful practice of yoga. From her very first class she was captivated by the feelings and sensations in her body and mind, the peace and space it created. This practice offers life changing and transformative experiences, not only on the mat but also in our everyday lives. Ali has studied her 200 hours teacher training with Nicole Walsh at Inyoga, 100 hours yin yoga teacher training with Melanie McLaughin, Applied Anatomy and Physiology workshop with Simon Borg-Oliver, workshops with Clive Sheridan, Sarah Powers and 20 hours fascia vinyasa teacher training with Alexa Hehter. 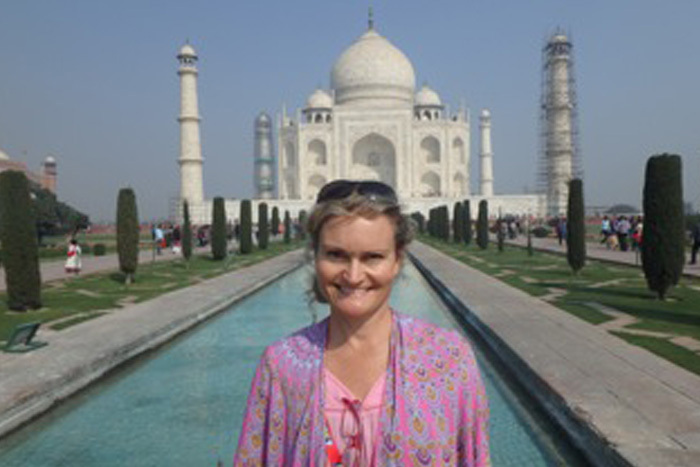 She has also been blessed and forever grateful to have two very inspiring teachers, Anna Smallwood and Kiran Bocquet. With this every evolving practice and journey, she takes every opportunity she can to study, attend workshops, retreats and teacher trainings. Forever a student, forever deepening her practice, so she can be of service to others. 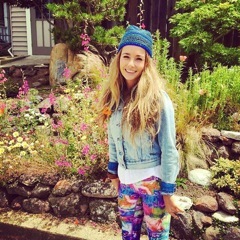 Ali is also an early childhood educator and her passion is to share with children of all ages the magic, fun and peace of yoga. She finds this a joy to share and teach yoga with babies, mums, dads, kids, teenagers and adults – everyone. With this knowledge Ali teaches a range of practices from a calm restorative yoga, to yin, to offering a gentle to dynamic flow practice and fun and creative kids classes. Ali’s classes offer time to explore the freedom and fluidity of the body and presence. Experiencing the power of your breath, the essence of our practice. Leaving your mat feeling rejuvenated, energised, vibrant but also peaceful within. Jeana offers Yin and Vinyasa Flow classes that are devoted to creating a dedicated and cherished space where we can guide energy towards transformation and our own inner truth and authenticity. Manifesting through Intention, conscious breathing, sound and movements in the rawness of the moment, Jeana believes through sacred exploration on the mat we can shed our outer layer and simply greet ourselves in a deeper and healing way. With more than 15 years’ practice and devotion it is with open hearted gratitude she honours her many teachers and counts her blessings that she has been exposed to such amazingly gifted teachers that have guided her on this awe inspiring journey of awareness. From Senior Iyengar teacher Susan Robertson who initially watered the yoga seed through to Anna Smallwood Ashtanga Vinyasa Teacher and owner of Roaming Yogis who nurtured the seedling and showed her new ways to blossom and grow. Jeana pays homage to the traditions of Ashtanga and Iyengar Yoga and is also a qualified Yin Yoga teacher. She has received yoga teaching qualifications from Amanda Fuzes ,Prana Space and from Mysan Sidbo Yoga for Yin Yoga teacher training. Her dynamic classes are a unique fusion of both Ashtanga Vinyasa and Iyengar yoga styles and her Yin yoga classes offer complete surrender where students are invited to keep their hearts wide open while dipping their toes into the vast river of the unknown. and is dedicated to a lifestyle that reflect this. her own world was what made Tamara want to share this practice with others. and to further her teachings. benefits of meditation, which she continues to use and adapt to her classes. your comfort zone on your mat is one way to find this. connect with your breath, your spirit, in the moments of stillness in her classes. and or a strong vinyasa flow. there is always room to play.